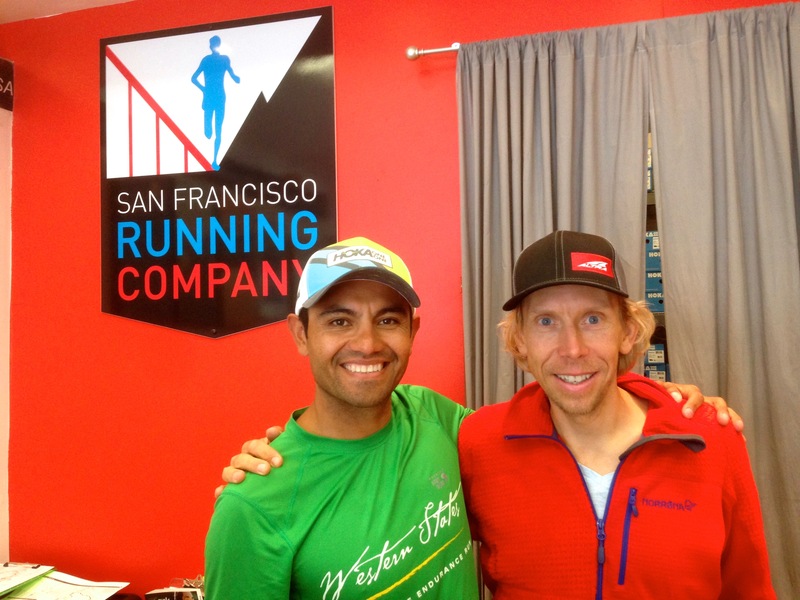 My next race is the uber-competitive North Face Endurance Challenge 50 miler in San Francisco on December 5th. 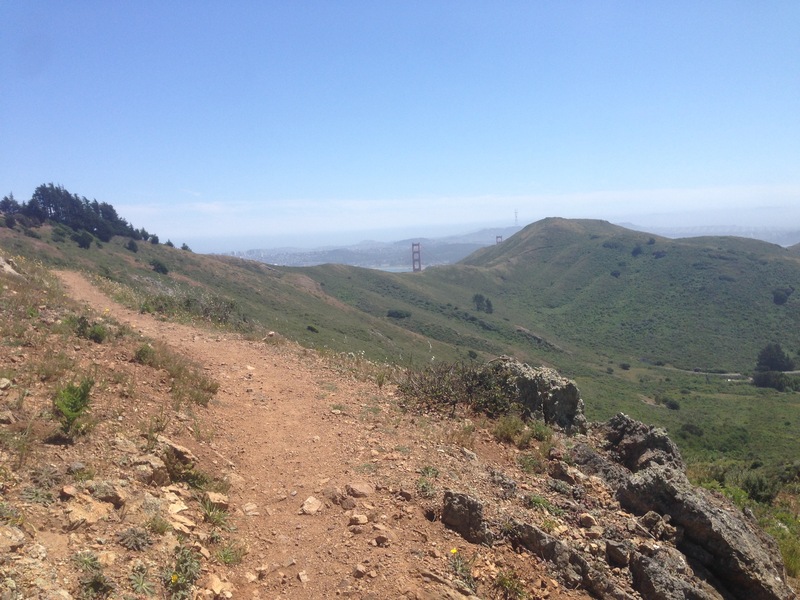 I am very excited about this opportunity to go back to the US and run smooth trails in the Marin Headlands. I think this will be the most competitive race in my ultra running career. There’s lots of guys with sub 2.20 marathon PR’s in this race. Have a look at iRunFar’s preview. The North Face Endurance Challenge 50 miles/80km starts at 5AM on December 5th. The course terrain combines fast-paced dirt trail with portions of technical single track overlooking the Pacific Ocean with occasional glimpses of the Golden Gate Bridge. Can you see the bridge? Pic from one of my runs here in April/May. Last time I visited the San Francisco area was back in April and May. We (my family and I) toured the Marin Headlands area in an RV. We stayed in Stinson Beach, Mill Valley and San Rafael, and I got the change to run most of the trails that will be used during the Endurance Challenge next weekend. I really like these trails, and I am very excited to go back. In addition to the individual competition, there is also a team element. I am on the Altra team with Jason Schlarb, Jakob Puzey, Josh Arthur and Thomas Puzey. I’ve had a pretty decent block of training after Ultra-Trail Mont Fuji (UTMF) in the end of September (my UTMF race report). I have tried to work on my speed, which isn’t that easy for me. But I have actually liked the faster sessions! The only challenge I have with the speed work is that I need quite a bit of recovery time after every session. I have reduced the amount of uphill/downhill running in order to get a little faster. The TNF Endurance Challenge course is a pretty flat (2700m/10.000ft) one, so I have adjusted my training accordingly. On a normal run I typically have close to 1.000 metres/3.000ft of vertical gain. In the last month or so, I have reduced the average gain/loss to 500 metres/1500ft. I will post more updates when I arrive in San Francisco!